Our portrait studio is located in Scottsdale near 101 and Cactus. It is a creative space, fun for children, fabulous furry pets, and business headshots. We can also create an outdoor look in addition to the indoor studio portrait. Our Studio is also a place for us to to share various products for displaying your images in your home....canvas, metal, float wraps, albums, acrylic, etc. Studio is by appointment only so please call before visiting! 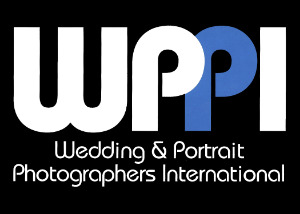 We are full-time professional photographers : please visit our three (3) websites for a sampling of our services. We are so excited you have found our services! We would love an opportunity to get to know you and collaborate on a photography package that meets your needs. To share a little bit about us: we, Connie & Steve, are a husband and wife photography team. We both embrace photography with passion, professionalism, and creativity. Connie created CWLIFE Photography in 2004 and Steve joined forces in 2006. Together we enjoy sharing life's celebrations with our clients. We seek to capture the wonderful expressions exchanged at a wedding, the details that represent the uniqueness of each client, and the fun and loving moments shared by the bride and groom. We also understand the importance of the family portrait as weddings are often opportunities for family gatherings and the images captured become family heirlooms. 5. Comfort in knowing we will get the job done! We would love to invite you to visit our studio so we can collaborate on your special day. Call today for an appointment.